a mother of four, paula graduated with honors from the university of notre dame with a b.a. in pre–professional studies and spanish. she moved to new york city and worked as an analyst with accenture before moving on as a research analyst with the wallace foundation. as a lifelong runner, paula thought she was in decent shape until she took on the challenge of barre and saw drastic changes in her body after just a few weeks of class. she gained a strength she never thought was in the cards for her, at least not in this lifetime (think: never-before seen quad and ab definition, this after having three children)! almost immediately, she noticed her joint stiffness, courtesy of her lifelong affinity to running, ease and her flexibility increase. she soon became addicted to a different kind of exercise high: the thrill of conquering a challenging thigh series, surprising yourself as you do one more push up on your toes, breathing through the burn a little longer than you did last class, and the blissful satisfaction that you enjoy when you melt into your mat during final stretch and congratulate yourself for being stronger than you were when you started. maybe the biggest surprise of all for paula, though, is the community the barre has become. it is her happy place, her home-away-from-home, and she feels extremely blessed to have the barre in her life. a native of bismarck, nd, rachel graduated from the university of notre dame with a b.a. in finance before fulfilling her dream of moving to new york city to pursue a career in fashion, where she worked in corporate retail. while living in nyc, rachel was introduced to barre classes by her sister-in-law (& the barre’s co–owner), paula, and was immediately hooked. even though she had been active and an athlete her entire life, she never had seen such direct and immediate results from any form of exercise, and had never been able to push her body to its limits and not sacrifice by having sore joints – only (good) sore muscles! beyond that, the mental strength she gained resonated far beyond studio’s walls and helped her feel empowered, energized and eager to plan her next barre fix. while rachel never thought she could love barre classes more than when she first “met” them, that passion has only grown in the past decade as she has been able to share the life-changing effects that the barre can have with others – there is no doubt that the barre’s effects definitely go way beyond the physical (which are pretty incredible). the barre becomes a way of life and helps clients feel strong and ready to take on anything life brings their way! having taught and practiced the barre through both her pregnancies (enjoying class until the day she went into labor both times! ), rachel is the biggest advocate for how amazing the barre can be for mamas-to-be; she was able to feel strong, toned & empowered through her pregnancies, and is now her strongest self yet after having 2 kids! rachel lives in wayzata with her husband, nick, their daughters and their pug, duncan. rachel lives in wayzata with her husband, nick, their daughters and their pug, duncan. a native of minnesota, jill was born and raised in wayzata and attended the university of minnesota, graduating with a degree in fashion apparel and merchandising. jill also had the opportunity to live in boston and chicago before returning to her minnesota roots. after giving birth to her son, jill decided to make exercise more of a priority. she read an article about the barre and was intrigued. all it took was one class for her to realize this is where she belongs. after gaining confidence and slowly making her way to the front of the class, jill is excited to inspire others to challenge themselves and teach the many joys of the barre burn. after growing up in northern california, kristen moved to minnesota as a teenager and has lived here ever since. kristen attended saint mary’s university, where she played varsity soccer and graduated with a b.a. in public relations. sfter working in sales for 4 years, she took time off to have a family – and that has been her ‘full time’ position ever since. 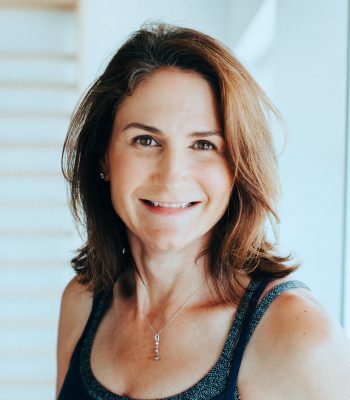 kristen was first introduced to barre classes on a yearly visit back to california and was immediately hooked: she felt like she had finally found exactly what she had been looking for in a workout and was thrilled when a studio opened in wayzata! the barre was the first workout she found that completely worked all her major muscles groups in one session, got her heart rate going, and left her overall body feeling great – after years of stress on her joints from playing sports, her body feels better and stronger than it ever has! kristen resides in eden prairie with her husband matt, 3 kids, and dog, lewie. heather will always consider minnesota her home, even though she & her husband had a great time living in canada when their children were young. heather graduated from the carlson school of management at the university of minnesota with a business degree, with emphasis in actuarial science and mathematics. heather was first introduced to the barre by her good friend and fellow instructor, cindy. having danced for over 15 years when she was younger, heather was immediately drawn to the workout. she was able to combine her passion for dance with an incredible workout, and loved coming to class! after a couple years as a client and having conquered a few 30-day challenges, heather decided it was time to challenge herself in a new way by training to become an instructor. it was a perfect fit! she loves being inspired by all the “barre shakes” and it pairs perfectly with her love for helping others reach their goals. heather does this already, by being a health and wellness coach, as an advocare business advisor. heather lives in minnetrista with her husband chris and two wonderful boys. she loves the fun and busy season of their life right now, and is grateful for the opportunity to share her passion for barre with all of our amazing clients! born and raised in minnesota, mary has stayed close to her midwestern roots. she attended college at the university of notre dame and earned a degree in classics (ancient greek and latin) and pre-professional studies. while in college, she took advantage of the wide variety of fitness classes on offer and eventually settled on a beginning ballet class as the ultimate stress reliever and bucket list activity. after graduating, mary missed her beginning ballet class and began searching for something to fill the void. it was during this search that she stumbled upon the barre. while the first class wasn’t at all what she expected, she soon fell in love with the classes and was spreading that love to anyone who would listen. mary is excited to now be sharing this love in a teaching role! when mary isn’t teaching at the barre, she works for an eLearning company and spends her free time enjoying her family’s company, undertaking extravagant baking projects, and knitting. kim recently moved from st. paul to the wayzata area with her husband and their three children, and could not be happier with her new community! a graduate of the college of st. benedict with a bachelors of science in education where she also played soccer, kim has always kept fitness an integral part of her daily life. she first heard the “barre” concept from her california friends, and knew when a studio opened in wayzata she had to find out what the rage was about! as a fresh alternative to yoga (which she practiced regularly), kim was instantly hooked. the barre not only delivered her quick results (who isn’t looking for that? ), but the strength she found from class and the connection it provided to her love and appreciation for the art of ballet has made the barre the center of kim’s exercise regimen. kim finds true delight in teaching others, in helping them reach their fitness goals, and having fun along the way – and cannot wait to continue this journey. while away from the barre, she is busy raising her kiddos as well as capturing life’s little moments as a children’s/family photographer. kristin has called minnesota home for most of her life. she graduated from the university of st. thomas with degrees in marketing and spanish. kristin spent her years before college dancing at studios and then dancing for her high school team. kristin was first introduced to the barre method through a family friend living in california. because of kristin’s love for dance, she just had to give it a try. 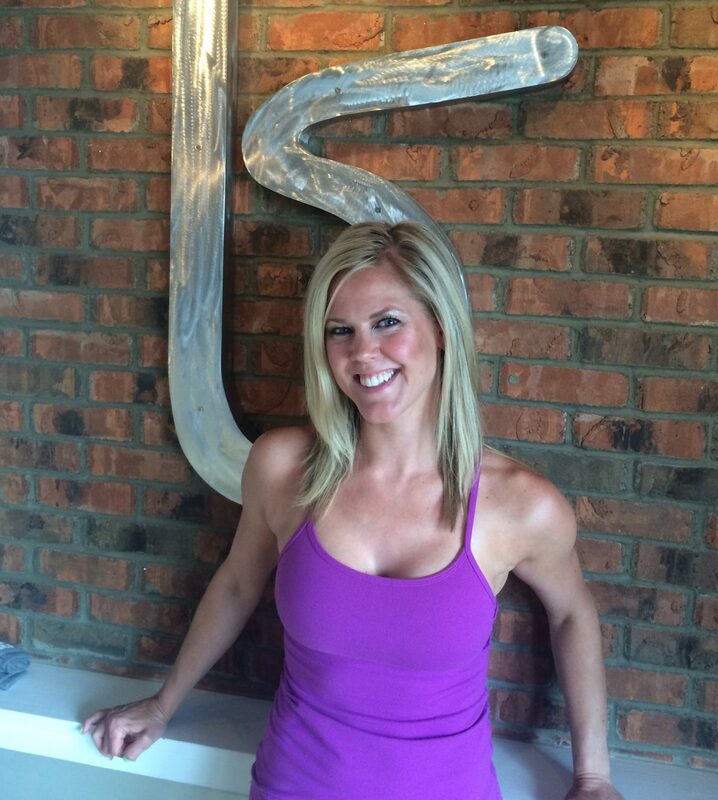 when kristin discovered the barre in wayzata she was immediately hooked! she had finally found the perfect workout. kristin felt right at home with the amazing instructors, motivating atmosphere and, of course, the results! after about a year practicing at the barre, kristin was ready to take her passion to a new level. 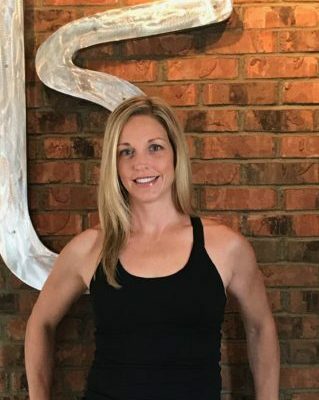 kristin is incredibly passionate about helping others achieve their fitness goals and looks forward to bringing on the shakes each and every class! kristin resides in plymouth with her husband. she works at a local consumer goods company as a sourcing manager. when kristin isn’t wearing her sourcing hat or getting her shakes on at the barre, she enjoys spending time with her family and friends, biking, decorating her home, reading a good book and planning her next vacation. 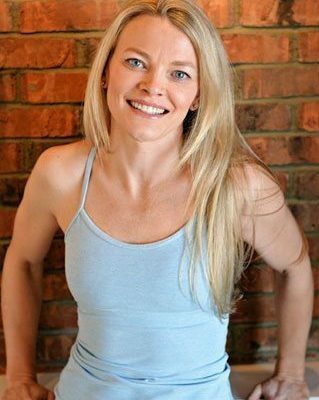 kristin is excited to continue her barre journey as an instructor and is thrilled to be part of the team at the barre. 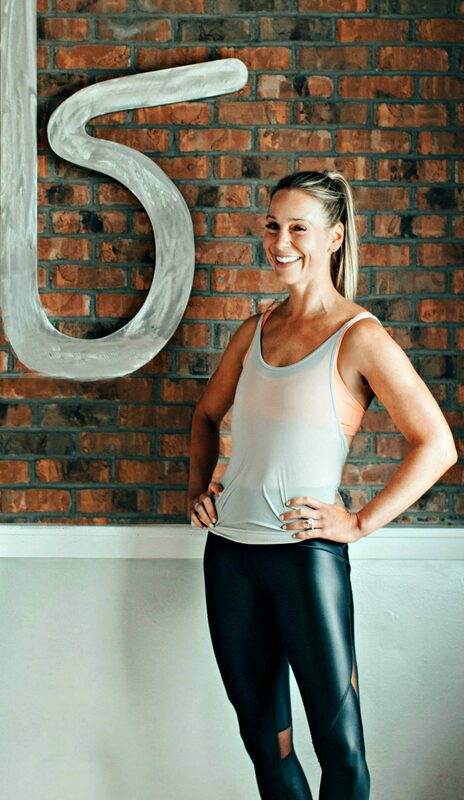 as a life long classical ballet dancer as well as a former Minnesota Vikings cheerleader, it was easy for nicholle to fall in love with the barre’s workouts. the classes appeal to both her dancer side and athletic side – all rolled up into one top notch workout! 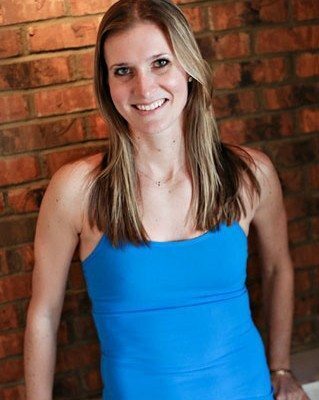 fitness and health have always been priorities for nicholle and she is thrilled to now add barre instructor to her resumé! her favorite thing about teaching is being a positive influence and inspiration to others, and her favorite thing about our classes are that they are always challenging – both physically and mentally! although nicholle has had experiences living all across the country, she is a minnesota girl through and through 😉 born and raised here, nicholle attended the university of minnesota (go Gophers!) where she graduated with a degree in broadcast journalism. when she’s not getting her barre shakes on or having fun planning her next class, you can find nicholle whipping up her next culinary masterpiece in her kitchen! a self-proclaimed foodie, nicholle finds nothing more enjoyable than being surrounded by good food, good wine and great friends and family. nicholle resides in orono with her husband mark, two children and one adorable wiener dog named guinness. julia has called minnesota home for all of her life. she graduated from wayzata high school and is currently working toward her degree in biokinetics from bethel university. she was first introduced to the barre in high school as a way to compliment her running routine. she immediately fell in love with the barre’s workouts, the passionate instructors and the amazing community she found. 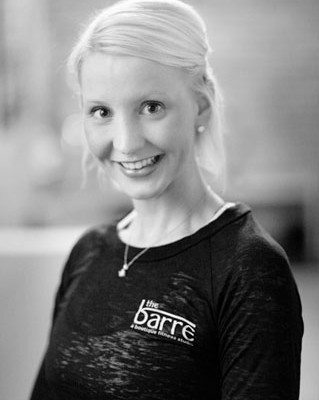 after working reception for a few years, she is thrilled to be taking her passion for the barre to the next level as an instructor! she feels incredibly blessed to be surrounded by such amazing and strong women every day. when not getting her fix of barre shakes, julia enjoys cooking + baking, partaking in church activities, traveling and spending time with friends + family. cindy grew up in wisconsin, and proudly remains a packers and badger fan, despite becoming a minnesotan in 2008. she’s a lover of data and spreadsheets, having earned a math degree from winona state, and a masters in statistics from kansas state. she enjoys telling stories with data, consulting with retail clients on strategic business and marketing decisions. 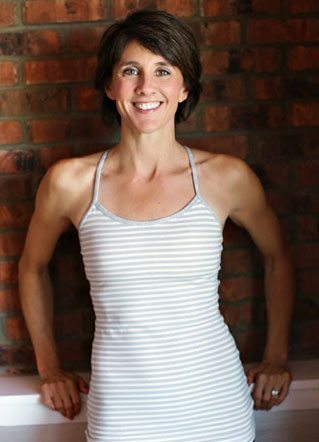 exercise became an important part of cindy’s life after she had children, motivated to increase her energy, improve her health, have a more toned body after babies, and justify eating cookies. she discovered the barre shortly after it opened, and was hooked immediately after water–skiing in her first class. 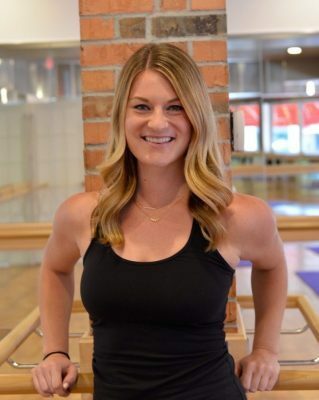 after being a client for almost 2 years and surviving a few 30–day challenges, she’s decided to leave the comfort of her regular spot in the back corner of the studio to share her love of barre as an instructor. cindy resides in minnetrista with her husband mike, 3 daughters, and havanese, milo. jenny moved to minnesota from wisconsin to attend the university of minnesota. while obtaining a degree in public health, communication studies and applied business, she also completed a group fitness instructor certification program. being an athlete all of her life, mainly figure skating, jenny was looking for her next commitment to staying active and healthy. she was first introduced to the barre from her college girlfriend and fellow instructor, jaclyn hutchins. after her first class and a tremendous amount of shaking, she was instantly hooked. a few months of classes was all it took for her to know she wanted to become an instructor. 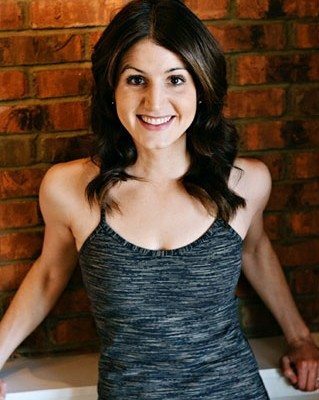 jenny’s boyfriend (now husband) and jaclyn encouraged her to take her group fitness background and apply it to the new passion she had for the amazing barre studio. the low-impact, killer workout at the barre allows jenny to stay committed to a healthy lifestyle while helping the participants in class achieve their health and fitness goals! when jenny is not pulsing at the barre, she works at a specialty pharmacy as an implementation manager. during her free time, she enjoys fashion, food, outdoor activities and spending time with friends and family. born and raised in minnesota, kadee obtained her first degree at the university of mn, where she was also a hockey cheerleader. she obtained her second degree in physician assisant studies from the UW-LaCrosse – gundersen – mayo physician assistant program. she then went on and obtained her masters in physician assistant studies with specialization in gastroenterology and hepatology from the university of nebraska medical center. after practicing medicine with a twin cities healthcare group, she made the choice to stay home with her four children. kadee’s always had a love for fitness and first tried the barre when she was pregnant with her third child. She was excited to find a low-impact work out, but was surprised by how much both total body and mental strength she gained and has been a fan of the barre ever since! 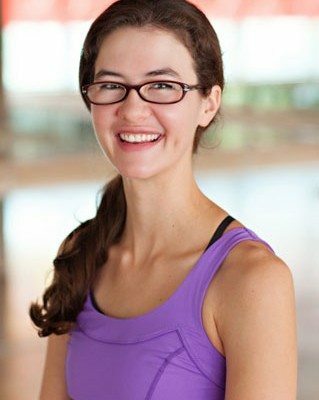 she is thrilled to have the opportunity to share her love of the barre as an instructor! kadee resides in orono with her husband, chris, and four children. when she’s not at the barre sweating and getting her shakes on she loves spending time with her family, running and planning her family’s next adventure. a lifelong minnesota native, erin earned her bachelor’s degree in community health and biology at st. cloud state university and her master’s in healthcare administration at saint mary’s university of minnesota. growing up, erin was heavily involved in soccer and has always been a consistently active runner. erin was first introduced to the barre through social media and was drawn to take on the challenge of the total body workout. after taking several classes and embracing the first barre challenge, she was hooked on the quick results she was seeing from the barre shakes inside and out. not only has barre introduced new muscle groups to erin, it has also enhanced her running, soccer and tennis playing abilities. outside of the barre & full-time job as a healthcare project manager, erin resides in the plymouth area with her boyfriend and their dog (louie) and cat (iver). erin loves to hang out with friends and family during her free time, enjoy the occasional happy-hour and is an avid shoe-buyer. she is thrilled to continue her barre journey as an instructor and can’t wait to see the positive impact the barre has on others. a midwestern girl at heart, kalli never strayed too far from her minnesota roots. After earning a b.a. in biology and playing soccer for luther college, kalli gracefully transitioned into four more years of pharmacy school at the university of iowa. an avid athlete her entire life, kalli was eager to discover a new activity that would both challenge and balance her busy lifestyle. 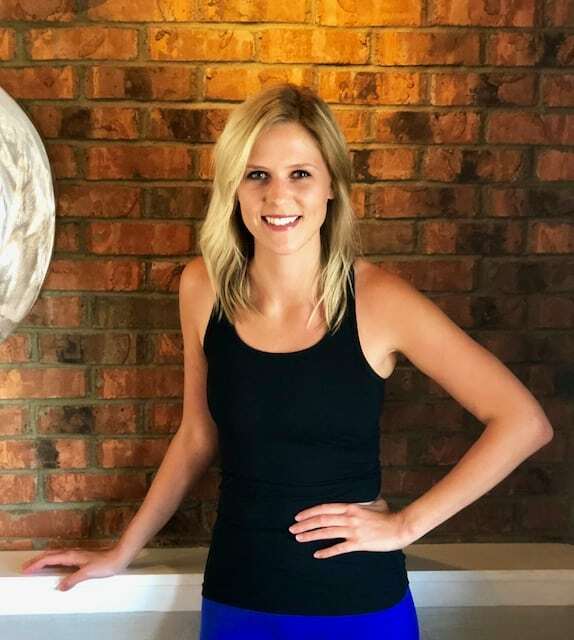 kalli was introduced to pilates and barre classes in iowa city and was immediately hooked. 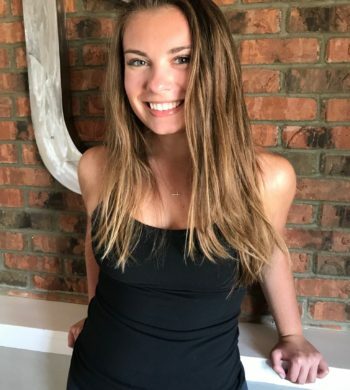 during a break from school, kalli tested out several barre classes in minnesota, and was drawn to the barre‘s passionate instructors and intense workout experience–she found her new “home.” eager to take her passion to a new level, she decided teaching was an exciting new challenge she wanted to pursue, and an opportunity to share her love of barre with others. with new roots built in chanhassen, kalli works as a pharmacist in the west suburbs. when she isn’t busy in the pharmacy or getting her barre shakes on, kalli enjoys running, curling up on the couch with a book and her kitty, charlie, or heading up north to the cabin to relax. born and raised in minnesota, kailey attended the university of minnesota earning a b.a. in communications. after college, kailey lived in south minneapolis with her best friend while starting her career at a healthcare company, working in sourcing & procurement. while living in south minneapolis and driving through 50th & france on a daily basis, kailey noticed the barre’s edina location opening up and was eager to try it out. after taking classes for 3 years, she decided it was time to spread her love for the barre by getting in front of the studio as an instructor! outside of her full-time job and shaking at the barre, kailey is a food & wine enthusiast, an HGTV addict, loves minnesota summers and spending time with friends & family. kailey just purchased her first home in st. louis park with her boyfriend, and is excited to renovate, design, and decorate! she is even more excited to finally have a yard for her french bulldog, louie.